These photographs first appeared April 16, 2000. Send your photographs for inclusion in this rotating gallery! 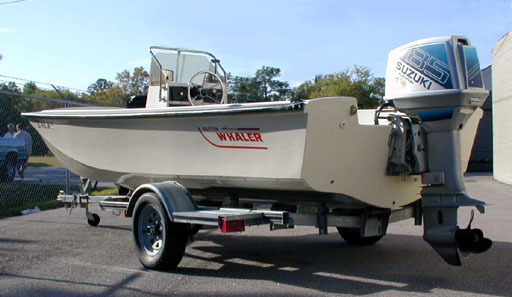 This 27-year-old Whaler looks like it just popped out of the mold at the factory as 16-foot hull number 3A7357. 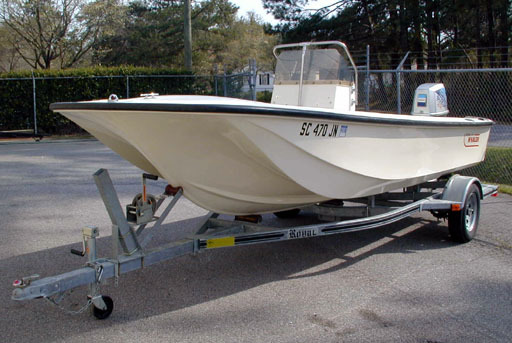 You're looking at the classic Whaler hull--the runners wide and the bow minus the "smirk." 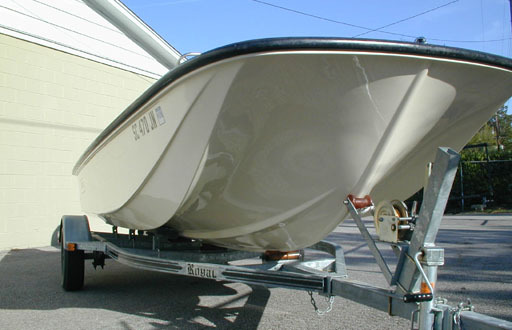 Repowered with a Suzuki 85 outboard and nicely set up on this galvanized trailer, this Whaler still looks like "showroom". That's due to quality original construction, and lots of tender loving care. Stern quarter view shows the hull form at the transom. 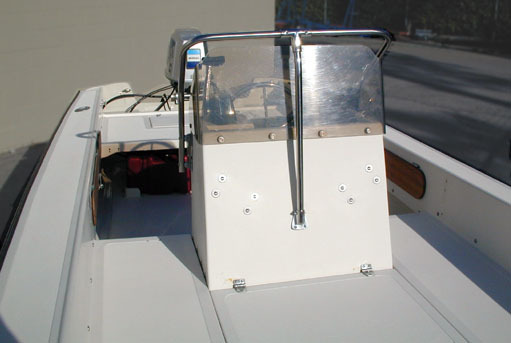 The original Bass Boat forward and aft pedestal seats have been removed, leaving the center console and forward platform. 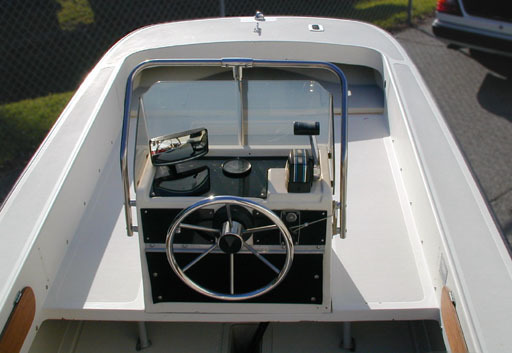 The center console is factory original, but the teak trim has been replaced with tinted plexiglas, and a tachometer has been added The center stainless steel grab rail at the windshield is also owner-added. All the modifications look Whaler-factory quality.